Builders: What's The Best Bluetooth Speaker For Construction Sites? Home » Builders: Wanna Know What’s The Best Bluetooth Speaker For Construction Sites? Hey ninjas, knowing you are like me, finding satisfaction in getting my projects done is a lot of fun! But what happens when the days get longer, the projects are not finished, and you are looking for a little bit of inspiration? Bring your inspiration to the job site. Whether working at home or on a building site, technology has made it possible to listen to your music, radio or podcasts while you work. Today, I’m looking at a few Bluetooth speaker systems that you can take to the jobsites or use while working on your DIY jobs around the home. By the way, if you are in a rush and don’t want to read all this nice article that I’ve put together for you today … that’s fine, maybe you come back later… but for now here’s a link to Amazon to quickly to check out what is my choice for construction site radio players. With these high-tech units, you are never far from a bit of motivation to get you through that project! 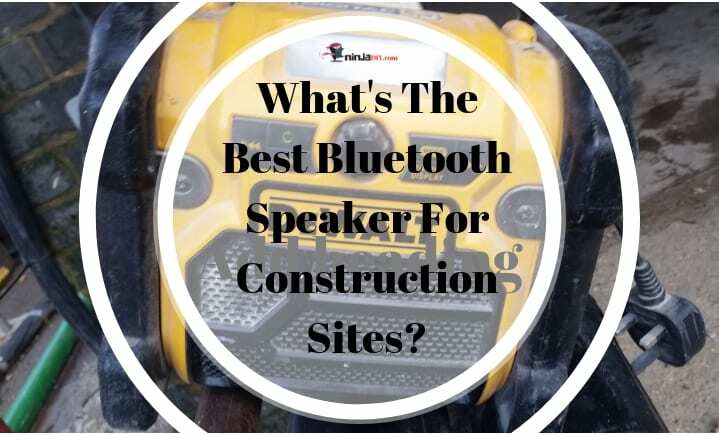 For this post, I have put together a collection of the best bluetooth speaker for construction sites currently available. The three Bluetooth systems I am reviewing are easily found on Amazon and can be delivered to your door in a matter days before your next job is completed, often at no cost shipping to you. Let’s take a look at three units to get you through the day with some entrainment while completing your projects. You will find links to the items at the end of this report. My first impression of this unit is versatility. Several DC power options are available, and it will also run off AC power if available at your jobsite or you have a generator. You can also recharge your phone when the device is AC powered. This DeWalt unit is encased in a sturdy, heavy-duty roll cage design case that will stand up to job site demands. With this unit, you can connect your CD, MP3 player, cell phone or other satellite receivers. You can also listen to your favorite radio talk shows or music stations via the built-in radio receiver. It is also compatible with other DeWalt battery pack tools. • The DEWALT DCRO18 Worksite radio charges 2 DeWalt 12-20V Max Li-ion batteries in 90 minutes or less to keep your tools up and running. • 2 USB ports to charge compatible devices such as cell phone, USB/CD players, etc. • LED indicator gives you status for accessories and replacement packs. • Is an expensive radio, but it does have several options for accessing your playlists or entertainment. • Some consumers complained of the overall sound quality. Right off the bat, the brand name Makita rings a familiar bell with the home DIY. The brand has produced some nice tools over the past several years and has become a trusted brand among home improvement enthusiasts. Especially for professionals in the building industry. ☛ By the way my contractor fellow…do you need a new pair of work boot? Check out my article on the best work boots for contractors to stay up to date with the best gear. First impressions show a smaller, compact unit with a sturdy carrying handle. The unit has several display modes via the digital display. Run times vary between 14 and 35 hours based on the available Makita batteries. The unit is also available for AC power use. This small, compact unit seems like a perfect addition to your home workshop or jobsite. 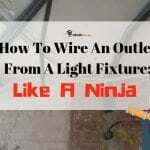 • Trusted name among home DIY enthusiasts. • Great sound from a small unit, via its two 3” side-firing speakers. • “Amazon’s Choice” in the category. • Battery and charger not included (price is for radio only). • Weight comes in at about 11 lbs. Here we have a well-known brand among home enthusiasts and another “Amazon’s Choice” in the category. My first impression of this is unit is something from a “Sci-Fi, robo-tron” movie. Dive in and take a look at what this robust unit offers. A nice range at 150 feet to stream internet radio or stored music comes in really handy. This system delivers 360-degree enriched stereo sound from its four speakers and a subwoofer. The Bosch Power Box is powered by Bosch 18 Volt Lithium Batteries or 120-Volt outlet. • Big, robust unit for any DIY job or construction site. • Four speakers for outstanding all-around sound. • AC power outlets to connect other tools or devices. • Weight is 24 lbs.!! A lot to carry around in today’s “small-tech” society. • Batteries must be purchased separately. So, ninjas, there you have it. My take on three really nice units to keep you entertained and informed while completing your projects or for getting you through the day on the jobsite. Take a look at each and decide which one will meet your needs at the price point you desire. If I had to choose, I would go with the DeWalt DCR018. It’s not that expensive, it won’t break the bank. Here’s a link again to Amazon if you want to find out more details like price, reviews and user’s opinions! It also comes highly recommended on Amazon’s website, with almost 4,000 reviews. I hope this list of the best bluetooth speaker for construction sites was helpful. If you’re not completely happy with only 3 options, check out this other article best jobsite radio players, where I go more in-depth and list top 10 radio players that builders like you and me like! Let’s get one of these units cranking and get the job done! !